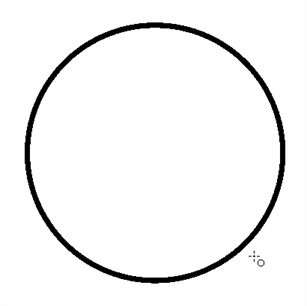 You can use the Line, Rectangle, or Ellipse tool to draw shape without having to trace them. You can also draw perfect circles and squares. NOTETo learn more about the shape tool parameters, see Ellipse Tool Properties, Line Tool Properties, and Rectangle Tool Properties. 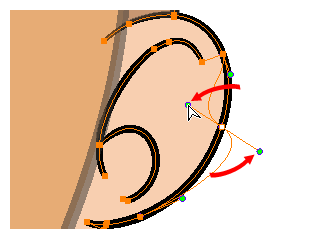 In the Tools toolbar, select the Rectangle , Ellipse , or Line tool. Hold down Shift to lock the rectangle or the ellipse ratio to 1:1. Hold down Alt to draw the rectangle or ellipse from its centre. Hold down Shift to snap the line every 15 degrees. Hold down Alt to snap the start or end of the line to a nearby stroke.